PCG with 4.exf5 @ "The Kenilworthian"
At The Kenilworthian, blogger Michael Goeller [pictured] analyzes the move 4.exf5 in the Philidor Counter Gambit. Here is a link to my game as Black against IM Justin Sarkar, mentioned in the comments. In Sunday's game/60 Swiss tournament at the Marshall Chess Club, I played the following game. 14.Nh4 Bg6 15.Nxg6 hxg6 16.g3 b5 17.Bd2 Nd5 18.Bxd5 cxd5 19.h4 b4 20.h5 bxa3 21.hxg6 fxg6 22.Qxe6+ Rf7 23.Rh8+ Kxh8 24.Qxf7, Black resigns. On Saturday, I finished with a score of 1-1-2 in a game/45 Swiss at the Marshall Chess Club. 33.Ne2 h5 34.Kd4 Ne8 35.a3 Nf6 36.h3 Be8 37.b4 axb4 38.axb4 Nd7 39.Nc3 Nb8 40.Ne2 Nd7 41.Nc3 Nb8 42.Ne2, draw. Zilbermintz Game @ "Contre Gambit Philidor"
At Contre Gambit Philidor, Frederic Fournier provides a link to the blitz game between FM Christian Stevens and Lev Zilbermintz. Today is the deadline for submitting material to The Best of Chess Blogging Carnival. Here is a Newark Gambit miniature, at a time control of 5 minutes, by Lev Zilbermintz [pictured]. 1.e4 e5 2.Nf3 d6 3.d4 f5 4.Bc4 b5 5.Bb3 fxe4 6.Ng5 d5 7.Nxe4 dxe4 8.Qh5+ Kd7 9.Qf7+ Ne7 10.Qe6+ Ke8 11 Qf7+ Kd7, draw. On February 2nd, Evan Rabin and Lev Zilbermintz are scheduled to play a 10 game match featuring the Zilbermintz Gambit. 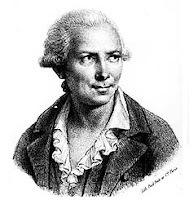 At Contre Gambit Philidor, Frederic Fournier analyzes my drawn games as Black against Ed Kopiecki and Rachel Gologorsky. Please join us on Tuesday, January 24th, at 7pm for a lecture by international master Dr. Danny Kopec, entitled "New Tests, Sicilian Mastery, Millennium Champions, and More." 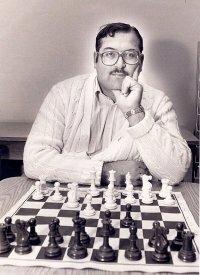 IM Kopec has been one of the country's premier chess writers, educators, and players for several decades. His interactive lectures are instructive as well as entertaining. Dr. Kopec is a professor of computer and information science at Brooklyn College. This lecture is free for members; guests are welcome to attend for a $10 fee. Refreshments will be served. At the Marshall Chess Club, I finished the under 2300 tournament with a score of 1-0-3. 12.Qxb6 axb6 13.Nd2 Nbd7 14.f3 exf3 15.Nxf3 Bd6 16.Bd3 O-O 17.O-O, draw. Yesterday I played this game at the Marshall Chess Club. 60.Rxf3+ Kxf3 61.a4 Ke4 62.a5 Kd5 63.a6 Rh1 64.a7 Ra1 65.Kb6 Kd6 66.Kb7 Rb1+ 67.Kc8 Rc1+ 68.Kb7 Rb1+ 69.Kc8 Ra1 70.Kb8, draw. At the Dean of Chess Academy, FIDE masters Karl Dehmelt [pictured, right] and Steve Stoyko [pictured, left] tied for first place with 5.5 points, in the club championship. 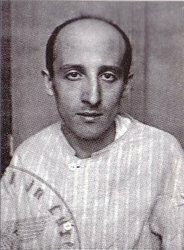 Karl Dehmelt was awarded the championship mug on tie-breaks. IM Dean Ippolito and Steve Ferrero tied for third place with 5 points. Turn your Android phone into a chess clock. On Tuesday, I drew a pair of opposite colored bishops endgames, at the Marshall Chess Club. 57.Kh3 Ke3 58.Kg2 Kxf4 59.Kh1 Kg3 60.Kg1 Kg4 61.Kh1, draw. 37.g4 hxg4 38.Bxg4 f5 39.Bf3 Kg7 40.Kd3 Kf6 41.c5 bxc5 42.Kc4 g5 43.Kxc5 g4 44.Bc6 f4 45.Kb5 Bc3 46.Kc4 Bb4 47.Kd3 Ke5 48.Bd7 g3 49.Ke2 Kd4 50.Kf3 Bd6 51.Be6 Kc3 52.Bc4 c6 53.Kg2, draw. On Monday, this game ended in a draw at the Marshall Chess Club. 45.Kb3 Ne4 46.Kb4 Ke6 47.c4 Nd6 48.Nc7+ Kd7 49.Nb5 Nc8 50.a5 Kc6 51.d5+ Kb7 52.c5 Ne7 53.c6+ Kb8 54.axb6 axb6 55.c7+ Kc8 56.Kc4 Nf5 57.Kc3 Kd7 58.Kd3 Ne7, draw. 55.Rf7 g5+ 56.hxg5+ fxg5+ 57.Nxg5 Kg6 58.Rb7 Rf6+ 59.Kg3 Kxg5 60.Rb5+ Kg6 61.b4 Rf1 62.Rc5 Rb1 63.b5 Rb4 64.Rc6+ Kg5 65.b6 h4+ 66.Kg2 Kg4 67.Rg6+ Kf5 68.Rh6 Kg4 69.Rg6+ Kf5 70.Rh6 Kg4, draw. Saturday Chess Camp at "Chess Mates"
Starting on January 21st, I will be an instructor (along with owner Arthur Macaspac) at a Saturday chess camp from 9am to 1pm, organized by Chess Mates in Rahway. The fees, including lunch and snacks, are $55 per day for club members and $60 for non-members. There is a $5 discount for advance registration, at least 4 days prior. Yesterday at Chess Mates, I substituted as instructor for GM Leonid Yudasin who was away. At the Dean of Chess Academy, two of my students played this game, in the Friday night league. 12.b5 Bc5 13.Bxc5 Qxc5 14.Qc2 d4 15.c4 c6 16.Nb3 Qd6 17.Ng5 Rac8 18.Nxe6 fxe6 19.c5 Qd7 20.b6 Ng6 21.Nd2 Qf7 22.Nc4 Ne8 23.Qd2 Qf6 24.f3 h5 25.Rf2 Kf7, draw. GM Viktor Moskalenko's analysis of 4.a3 b6, in the variation named after Sammi Fajarowicz [pictured], is critiqued at chess.com. The Kibitzer's Corner at chessgames.com has this comment from Poisonpawns: "Here is a game I played against West in 2006. I will never forget, he would not shake my hand after the game. I thought that wasn't cool. When he had beat me a few years before, I shook his hand and went over the game." On January 4, 2012, I e-mailed an administrator alert to chessgames.com which reads, in part: "I have no recollection of ever refusing to shake an opponent's hand, either before or after a game, in nearly 40 years of tournament play. As a chess coach, I teach my students to shake their opponent's hand, regardless of the outcome of the game. Very often when I resign a game, my resignation takes the form of a handshake." The Marshall Chess Foundation presents the Marshall Chess Club book fair. All proceeds benefit the Marshall Chess Foundation. With thousands of books, periodicals, tournament bulletins, opening and endgame collections. Members only preview sale: Friday, January 13th, 6pm to 9pm. Public book sale: Saturday, January 14th, 12 noon to 6pm. Significant discounts for club members on both days! 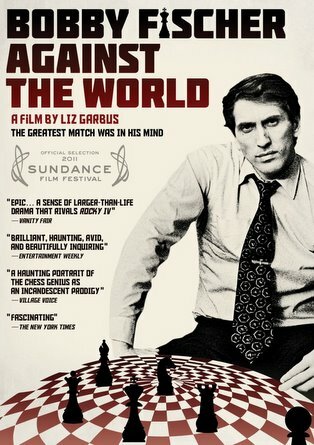 Another DVD Review of "BFATW"
At citypaper.com, Lee Gardner reviews the documentary film Bobby Fischer Against the World, available on DVD. On Sunday, I finished the Marshall January Grand Prix tournament with a score of 2-1-1, at the Marshall Chess Club. 54.Rc2 Ra7 55.Rd2 h5 56.gxh5 Ra4 57.Rd7+ Kh6 58.Rd8 g4+ 59.Kg2 Ra2+ 60.Kh1 Kxh5 61.Rh8+ Kg5 62.Kg1 Kxf5 63.Kh1 Ke4 64.Rg8 Kxe3 65.Rxg4 Kf3 66.Rc4 Ra1+ 67.Rc1 Rxc1#. 54.Ke4 d3 55.Kxd3 Kxg6 56.Kc4+ Kf6 57.Bb3 Nc7 58.Kc5 Ke7 59.Kb6 Kd6 60.a4 Nd5+ 61.Kxa5 Nc3 62.Kb4 Nxa4 63.Bxa4, draw. West - Rubenfeld, USATE 2011 on "YouTube"